Saturday afternoon, August 24th, more than 200 people joined S.O.S. at its annual Lead By Example event at St. Johns Recreation Center Park. 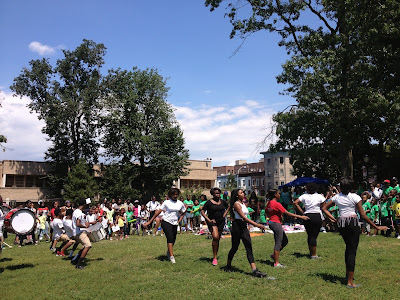 The afternoon included 2 basketball games for teen girls and boys, a martial arts demonstration by students of Brooklyn House of Champions Martial Arts Academy and a dazzling step routine by Limitless Regime. There was food and drink and music provided by DJ Disco. It was another peaceable S.O.S. event full of excitement, laughter and community spirit. Enjoy this video of the Limitless Regime Steppers! 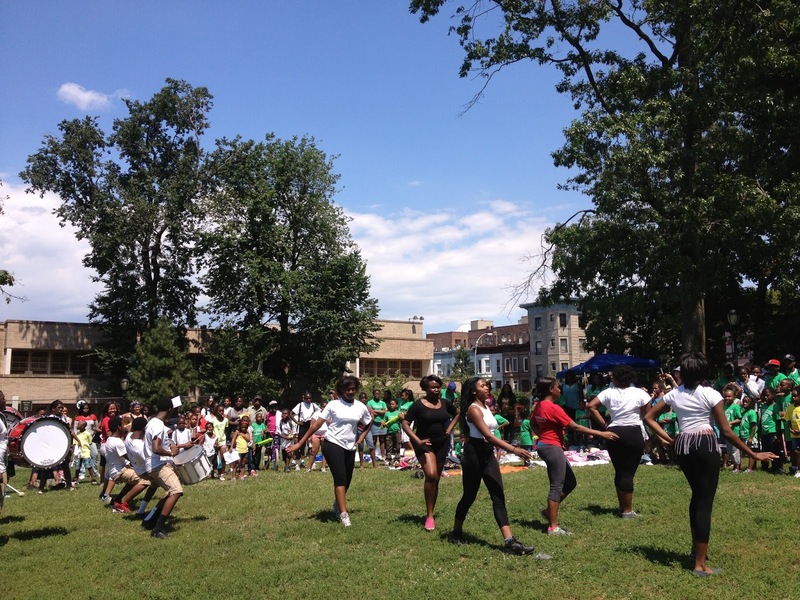 Last Tuesday the Mediation Center joined many other local organizations as part of National Night Out in Brower Park. Staff members and volunteers painted kids' faces and passed out popsicles. 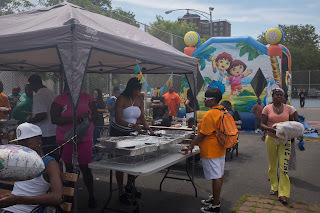 The events' organizers and other participating groups brought ponies for kids to ride on, a group of drummers and dancers, bouncey castles, prize giveaways, free medical screening and information, and other resources for community residents. 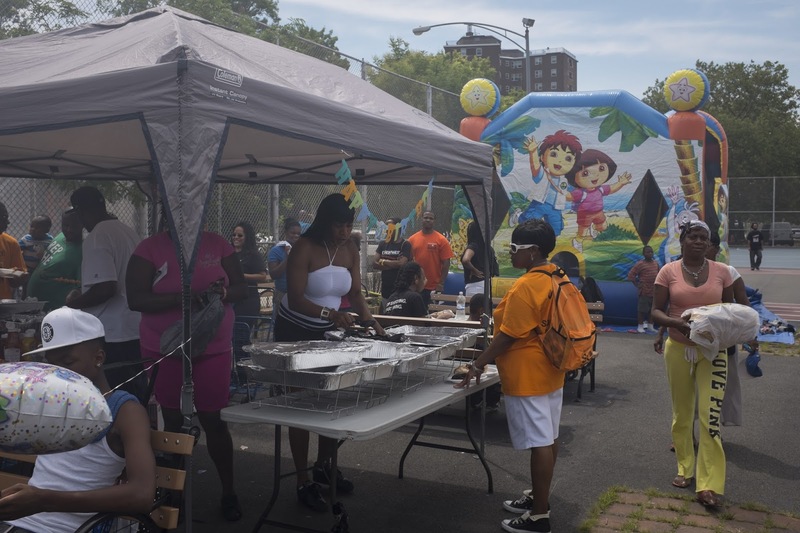 Music and food rounded out the day, and hundred of neighbors in Crown Heights came out to enjoy the beautiful weather, take part in the festivities, and take a stand against crime. 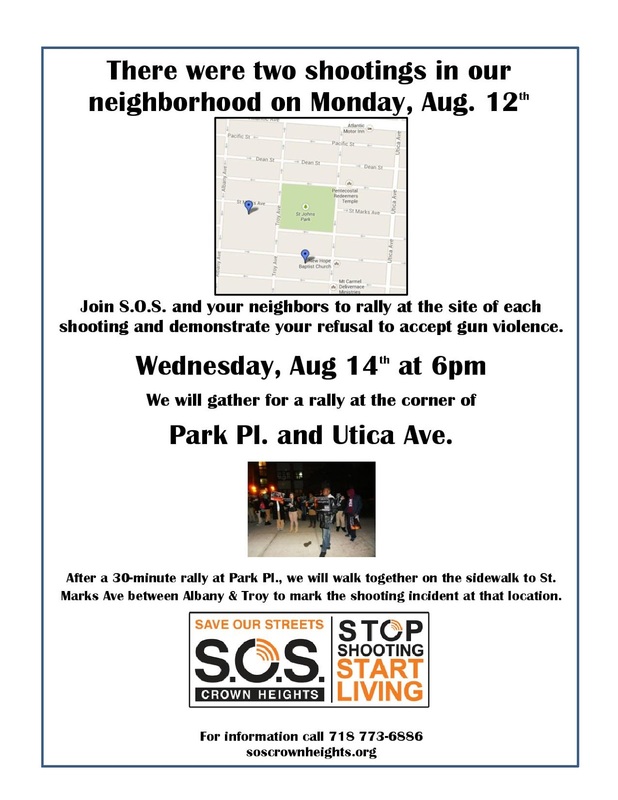 The Mediation Center was proud to contribute to such a strong, fun display of community unity and anti-violence activism. S.O.S. 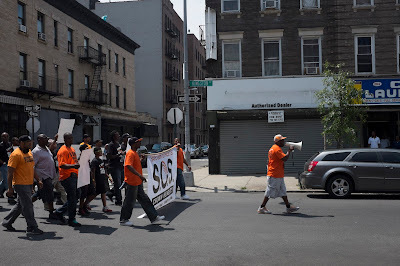 organized its annual Crown Heights Peace March, this year entitled The 100 Man+ March Against Gun Violence this past Saturday, July 27th. 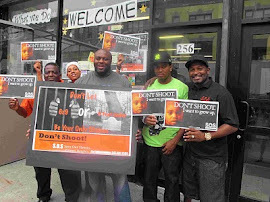 We recruited Brooklyn men to lead Brooklynites on a march through Crown Heights streets calling residents to action, emphasizing the point that each person has a role to play in the movement to curb gun violence and violence of all kinds. 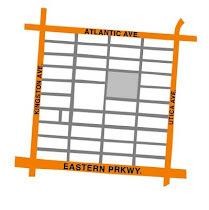 The march stepped off from Eastern Parkway and Kingston Avenue at 1:45 and proceeded down Kingston to Weeksville School Playground on Bergen Street where The Prezidential Ladies Social Club hosted a free family Barbecue.Over 100 men, women and families from the neighborhood marched behind Senior S.O.S. 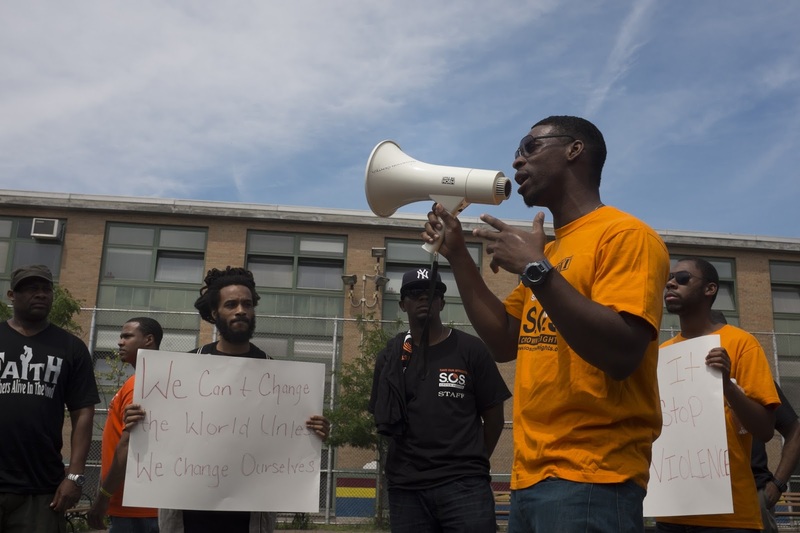 Outreach Worker Derick Scott as he called out, "What are we prepared to do?" and the crowd responded with, "Take the Lead!" The number of marchers increased as local residents joined as the procession along the way. 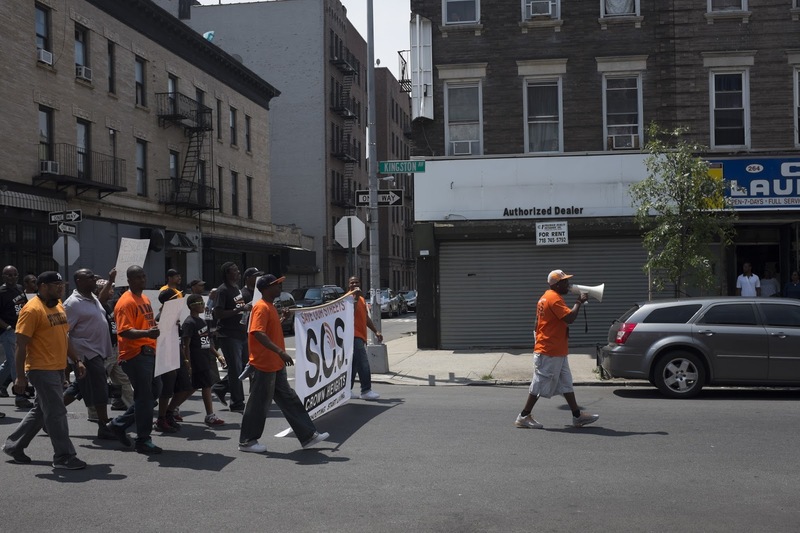 The march ended at the school yard with about people walking and chanting together. Associate Director Marlon Peterson also spoke to the crowd, saying that "by marching today, with young people among us, we are making it possible that young people in the future will not have to march-- because there will already be peace." 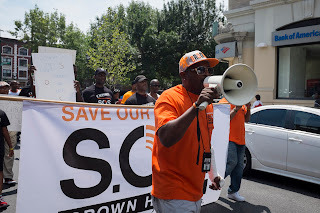 Led by Tarsha Richardson, The Prezidential Ladies demonstrated their commitment to the nascent anti-violence coalition that S.O.S. 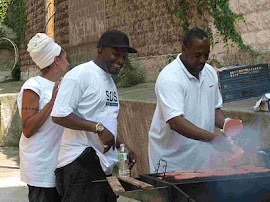 is trying to build in Crown Heights by hosting a diverse crowd of neighbors at their annual barbecue and dedicating it to stopping gun violence.